SynerJoint Review – Is This Product Safe To Use? 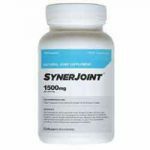 SynerJoint is a joint supplement that is touted to be made from natural ingredients with the aim of supporting and promoting optimal functioning of joints. The manufacturer markets this product as the ultimate solution to chronic joint inflammation and thus recommend it for people who are rehabilitating arthritis. How much does SynerJoint cost? SynerJoint can be purchased without a prescription at most of the leading outlets and chemists. The official merchant store sells the 30 day supply bottle for $59.99; the 60 day supply for $119.98 and the 90 day supply for $179.97. This means the more you buy the higher the savings you make. You can make more savings when you apply for the automatic-monthly replenishment program. Other retailers are selling the product at totally different prices. For instance, most Amazon stores are selling it for a discounted price of $27.99. Shipping and handling cost will affect the price. What does the Manufacturer of SynerJoint claim? According to the producers, this is the best product to rehabilitate rheumatoid arthritis. This is advised by the fact that inflammation has been described by many research scientists as the main cause of joint pain in patients with arthritis. According to the producers of SynerJoint, each and every ingredient used in the product has been scientifically proven to be safe and effective in its respective role. Although the producer has not explicitly said who and when the research was done, we believe they meant the third party research done on most ingredients and not the finished product. What is the Company Behind SynerJoint? Synerjoint is produced by Cellusyn Laboratories. Little information is available on this company but we know it is based in the United States. Despite the company being less known, they have produced many other products in neuron-support and reproductive health. What are the Ingredients Used in SynerJoint? Glucosamine Sulfate – This is inarguably the king of joint support supplements. It plays a pivotal role in the repair and replenishing worn out tissue and cartilage. Methylsulfonylmethane (MSM) – MSM is a source of natural sulphur in our bodies. Sulphur is the raw material used to manufacture keratin (makes tissue strong). White Willow Bark – White willow is used due to its powerful anti-inflammation properties. It has been used for thousands of years. Boswellin® (Boswellia serrate) – Just like white willow, it has powerful anti-inflammation properties. Hyaluronic Acid – HA is a major component off synovial joint fluid and thus it a formidable contributor to joint cushioning and fighting friction in our joint area. Ginger – Ginger acts against inflammation from the cellular level. It is believed to be a good supplement for the prevention of inflammation. Docosahexaenoic Acid (DHA) – It plays a vital role in the protection of cartilage. Turmeric – Turmeric packs both anti-arthritic and anti-inflammation properties that are more powerful than NSAIDs. What are the Pros of SynerJoint? When purchased from the official website, the product comes with a money back guarantee (check the terms of the guarantee). The official merchant shop offers free shipping for orders that are more than $65. The product is made from natural ingredients. It reduces joint soreness and get rid of inflammation. What are the Cons of SynerJoint? The return policy is lengthy. When it comes to keeping inflammation at bay, then Synerjoint is a power house. This is thanks to the carefully selected ingredients that tackle inflammation from a cellular level. Fighting inflammation is perhaps one of the surest ways to counter joint pain and joint soreness. Most scientists believe that inflammation is the main cause of joint pain. The second cause of joint pain is perhaps friction between the joint tissue and this is taken care of by the use of HA. According to customers, this is a slow working product but it delivers on its promise albeit after a long wait. According to reviews, most customers have not experienced any beneficial effects in the first two weeks of taking this supplement. SynerJoint is not meant to treat any condition and therefore it should not be used with the aim of treating any condition. Nevertheless, it is handy when it comes to the rehabilitation of arthritis and other condition caused by inflammation. This product contains extract of shellfish and thus not suitable for people with fish allergies or strict vegetarians. This product contains White willow which is known to interact with anti-coagulant medications. If you are taking any prescription medication, be sure to consult your caregiver prior to taking this supplement. SynerJoint is a joint supplement that looks amazing. It tackles the root cause of joint pain and for this reason, we believe it will come in handy if you have arthritis. The only thing lacking to make this product the kind of joint pain is bone support. However, you can readily get bone support from some of the other products we have reviewed.